These are nice and sturdy and come with all the hardware you need for assembly. I am planning to use these on an A-frame hammock stand we are making. I think they would hold up well on a swing set too. 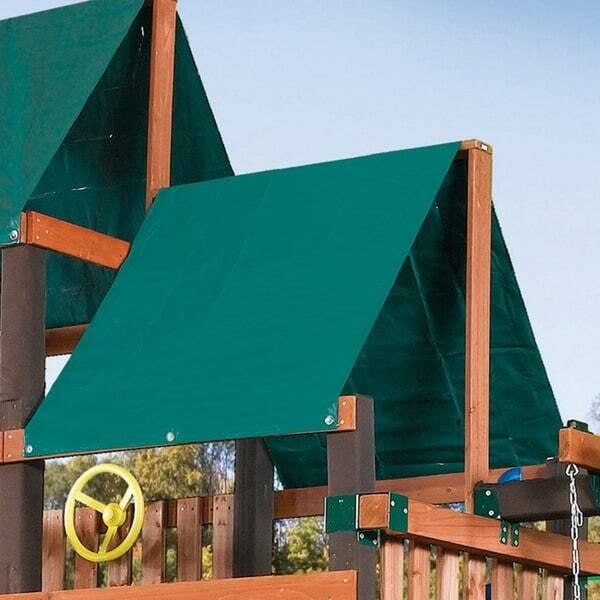 Tarp 92 1/2" x 61 1/4"
Children will enjoy hours of fun and adventure under this Extra Duty Canopy Roof from Swing-N-Slide. Upgrade your play set with this sturdy and attractive, high quality 13-ounce vinyl canopy for the ultimate shade protection. This product will not ship to non-residential addresses. This product is designed and tested for private backyard use only. Do NOT use this product in a public setting. Use of this product in a public setting will void warranty. Great price for replacement canopy. Great value for replacement swing set canopy. Shopped around to about 10 other retailers and found the best pricing at Overstock.com. The canopy came quickly and looked as though it would be easy to install. unfortunately it was not the right size for our swingset and had to return, but it was acurately described. Extremely durable and easy to set up. Awesome buy. We have been lazy and didn't remove them last winter, but they amazing ingle held up through heavy snow and winds here in Michigan! Extremely pleased. Perfect for what we were looking for at a great price! I'm actually going to use this as a canopy roof outside an exterior door. I'm going to use in a rectangle shape vs the upside down V shape shown in the picture. Looks like what we want to replace a weather-damaged canopy. Hopeful. "What are the dimensions of the tarp? The description says 4.5 inches x22 inches, that is nowhere near what the picture shows?"